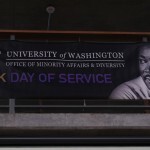 Each year, the University of Washington–in partnership with United Way of King County–hosts the Martin Luther King, Jr. Day of Service, an event that engages nearly three thousand volunteers in day-long service projects throughout King County. These projects provide vital people-power to organizations that support our county’s most vulnerable populations. 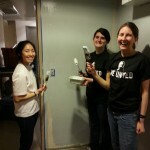 Celebrate the legacy of Dr. King by taking advantage of the national holiday to serve! This event is part of the United We Serve initiative, which calls for Americans from all walks of life to work together to provide solutions to our nations most pressing problems. 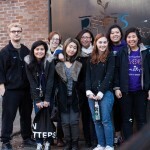 Registration for service projects is now open! 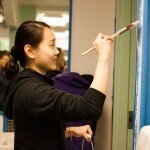 Use the search filters to find the best fit–and note that while most projects will be held on 1/21, there are MLK service projects between January 16 and 27. 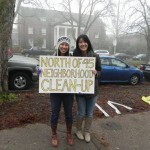 There are two ways to volunteer during MLK Day service. 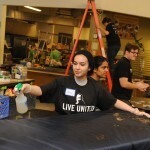 You can sign up through the United Way of King County website to be a project leader (then recruit your team!) OR you can sign up as an individual. As a project leader you are responsible for choosing a project for your team and claiming the desired number of volunteer slots, recruiting volunteers to fill those slots, and acting as the liaison between the nonprofit partner and volunteer group. Ready to be a project leader? Click here for detailed instructions. Pick a project from the list below, click “View Details,” and then click “respond as a group.” Note that you may volunteer alongside other groups. Create a volunteer profile if you don’t have one, or log in if you do. Enter your group name and click submit. Click “add member” to register yourself and claim the amount of spots you need. If you are registering as an individual not associated to a group please also make sure you connect with the nonprofit host so you confirm logistics. 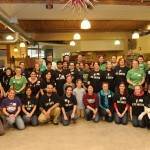 How can my organization host volunteers? 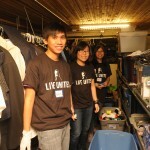 Your organization can be part of this event by listing your MLK Day volunteer projects with United Way! 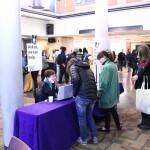 Priority poject registration for 2019 has passed. . .but if you’re interested in listing a last minute volunteer opportunity, please contact the team at volunteers@uwkc.org for help listing your opportunity! 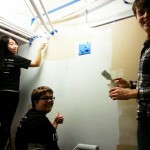 Projects typically take place on the Monday MLK Day Holiday and last 3-6 hours. Projects between January 16 and 27 are welcome! 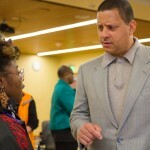 Projects must take place in King County. To submit a project, you must be a registered 501(c)3 nonprofit, school, park or community group. Project hosts (that’s you!) must be able to provide all necessary supplies for the project. Indoor and family-friendly projects are strongly encouraged (though all projects are welcome). Projects that include an element of social justice or address racial disparities (for example: projects supporting under served populations or sharing information on your target populations with volunteers and/or ending your project with a reflection) are also encouraged. United Way will be working hard to promote this event, but cannot guarantee that all projects will be selected by a volunteer group. 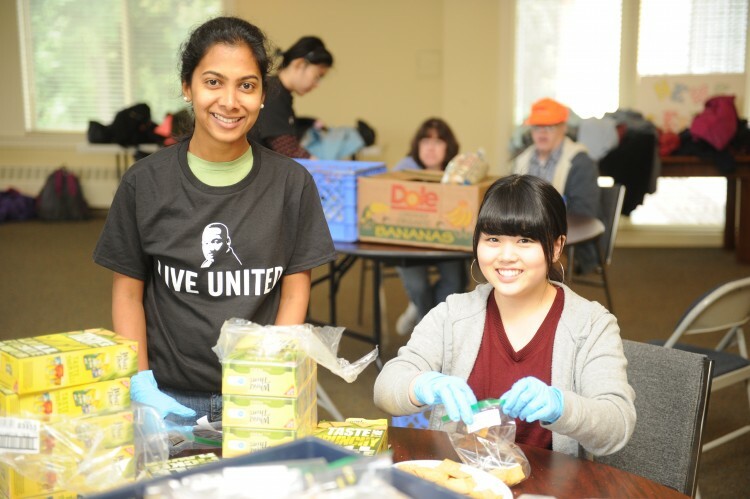 For each project you submit, United Way of King County will then work to engage community resources to fulfill your service opportunity. You will be notified when volunteers join your project. 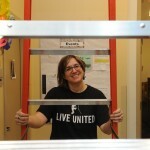 Contact volunteers@uwkc.org with questions about posting projects! MLK Week is a collaborative suite of events developed by the Carlson Leadership & Public Service Center, the Center for Communication, Equity & Difference, the Samuel E. Kelly Ethnic Cultural Center and the Q Center. 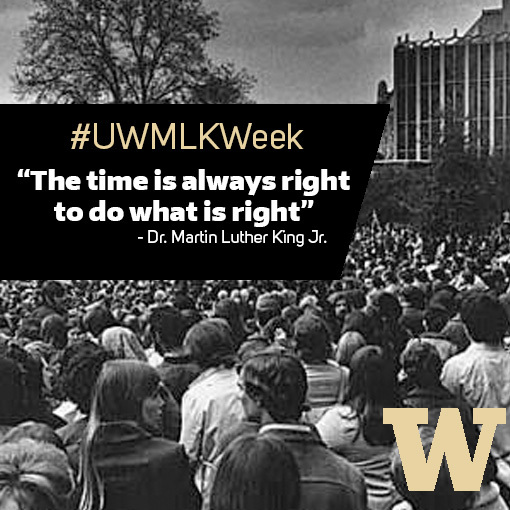 Inspired by past campus MLK celebrations, MLK Week broadens and deepens the University’s recognition of the MLK Day holiday.